Jay Peg’s career earnings of over R40 million (Highest stakes earner in SA History) and Timeform Rating of 126 are truly dazzling! JAY PEG Champion 3YO Colt in South Africa in 2006-07. 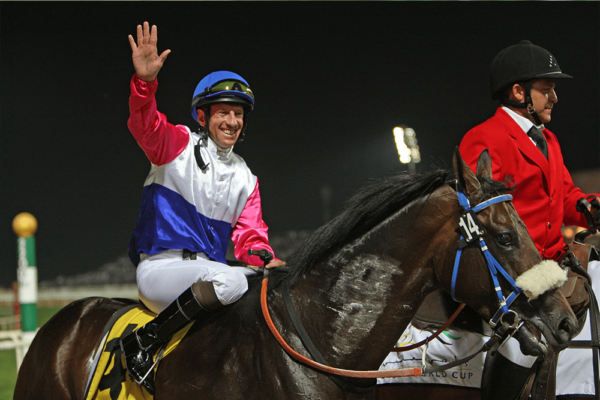 10 wins-3 at 2-from 1400m to 2000m, R1,405,890, S$1,710,000, 11,473,320Dhs, Singapore Airlines International Cup, Gr.1, Nad al Sheba Dubai Duty Free, Gr.1, Kenilworth Cape Guineas, Gr.1, Cape Derby, Gr.1, Selangor Cup, Gr.2, Cape Classic S., Gr.3, 2d Greyville KZN Guineas, Gr.2, Nad al Sheba Jebel Hatta S., Gr.2-twice, Kenilworth Cape Breeders Equimark S., L, 3d Nad al Sheba Etisalat Greentune H.. He entered stud in South Af in 2009. Sire of 280 progeny to race, 162 winners (57.0%), earnings of over $3.4 million, 8 stakes winners, 10 stakes placegetters, inc.
SILICONE VALLEY (10c, Model Man, Over the Air). 7 wins at 1200m, 1600m to 2017-18, R862,850, Kenilworth Cape Merchants, Gr.2, Book Your Seat S., Drakenstein Stud S., Itsarush.co.za H.-twice, 2d Kenilworth Cape Merchants H., Gr.2, Jet Master S., L, Calulo Shipping Cape Mile, Racing It’s a Rush S., Freightmore H., 3d Durbanville Matchem S., Gr.3, Kenilworth GA Mac Lachlan Incorporated S.
EXIT HERE (12c, Jet Master, Model Man). 6 wins-1 at 2-from 1400m to 1800m, R1,178,536, Greyville Cup Trial, Gr.3, KZN Guineas Trial, L, Fresenius Medical Care H., Itsarush.co.za H., 2d Greyville Gatecrasher S., L.
HOT AFFAIR (11f, Captain Al, Lustra). 2 wins at 2, R209,875, Kenilworth Fillies Nursery, Gr.3, Kenilworth Perfect Promise H., L.
PEGGY JAY (12f, Stage Colony, Hot Spark). 4 wins from 1800m to 2450m, R510,850, Turffontein Jacaranda H., Gr.3, Sun Chariot H., 3d Turffontein South African Oaks, Gr.2. WOLJAYRINE (14c, Wolfhound, Model Man). 3 wins-1 at 2-at 1100m, 1400m to 2017-18, R370,500, Scottsville Godolphin Barb S., Gr.3, Greyville Durban Dash, 2d Durbanville Best Prices First Progress P., Greyville Arts and Pleasure S., 3d Kenilworth Sophomore Sprint H., L, Greyville Ethekwini Sprint, 4th Scottsville Gold Medallion, Gr.1. OLYMPIC OWEN (10g, Kingmambo, Ogygian). 3 wins-2 at 2-at 1000m, 1100m, R267,875, Turffontein Protea S., Gr.3, 2d Turffontein Storm Bird S., L, Vaal Soccer GG S., 3d Griqualand Flamingo Park Sprint. FLASH DRIVE (10g, Captain Al, Complete Warrior). 2 wins at 2, R177,716, Kenilworth Cape of Good Hope Nursery, Gr.3, 3d Kenilworth Soccer 13 H., Itsarush.co.za H.
PEGWELL BAY (10f, Fort Wood, Elliodor). 4 wins-1 at 2-to 1300m, R176,520, Borrowdale Sable Flyers, L, Fairview Itsarush.co.za H., 2d Fairview Book a Table at Our Next Raceday H.
Royal Armour (12g, Fort Wood, Elliodor). 7 wins-1 at 2-at 1200m, 1400m, R518,869, Scottsville Natal Carbineers, Fever Tree S., Greyville Itsarush.co.za H., Scottsville Racing It’s a Rush H., 2d Greyville Kings Cup, Gr.3, Call Telebet Fixed Odds H., Itsarush.co.za H., 3d Scottsville Itsarush.co.za S.
Orchestrated (10g, Argosy, Damascus Gate). 5 wins from 1600m to 1800m, R459,800, Vaal Itsarush.co.za H., Itsarush.co.za H.-twice, 2d Fairview Algoa Cup, Gr.3, Vaal River H., Vaal Racing. It’s a Rush Conditions P., Turffontein Soccer 13 H., 4th Turffontein Aquanaut H., L.
Victorious Jay (12c, Jallad, Model Man). 4 wins-1 at 2-at 1400m, 1600m, R2,993,273, Kenilworth Calulo Shipping Cape Mile, 2d Greyville Drill Hall S., Gr.2, Kenilworth Selangor Cup, Gr.2, Drakenstein Stud S., 3d Kenilworth CTS Million Dollar, 4th Kenilworth Cape Merchants H., Gr.2. She’s a Dragon (12f, Goldkeeper, Pochard). 4 wins-2 at 2-from 1200m to 1600m to 2017-18, R458,450, Turffontein Roodepoort Metal Exchange H., Juvenile P., Vaal Book a Table Graduation P., 2d Turffontein Itsarush.co.za P., 3d Turffontein South African Fillies Classic, Gr.1, Vaal Racing Association H., Book a Table H., 4th Turffontein Gauteng Fillies Guineas, Gr.2, Three Troikas S., Gr.3. Le Clos (12c, Fort Wood, Sportsworld). Winner at 1400m, R205,405, 2d Turffontein Grand Heritage in October H., 3d Turffontein Tony Ruffel S., Gr.3, Season’s Greetings Progress P., Vaal Itsarush.co.za P.
Bollemakiesie (13c, Tale of the Cat, Zabeel). 5 wins-2 at 2-to 1400m to 2017-18, R456,650, 2d Fairview East Cape Nursery, L, 3d Fairview Dahlia P., L.
Neala (12f, Rambo Dancer, Hansel). 4 wins-1 at 2-from 1200m to 1600m, R314,300, Kenilworth Nomads H., 2d Greyville Sachin Bharat H., Hollywoodbets H., Scottsville Racing It’s a Rush H., 3d Kenilworth Olympic Duel S., L, 4th Scottsville Poinsettia S., Gr.3. In Limine (11f, Montjeu, Anabaa). 4 wins-2 at 2-from 1200m to 1800m, R300,387, Kenilworth Mr Frederick Barkhuizen Juvenile P., 2d Kenilworth Irridescence S., L, 3d Kenilworth Sun Classique H., L, Durbanville Racing It’s a Rush P., Kenilworth Racing Its’a Rush H.
Peggson (14c, Tara’s Halls, Dancing Duel). 3 wins from 1200m to 1700m in 2017-18, 2d Borrowdale OK Grand Challenge, L, 3d Borrowdale Zimbabwe Guineas, L, Zimbabwe Derby, L.
Searching (14f, Acatenango, Riverman). 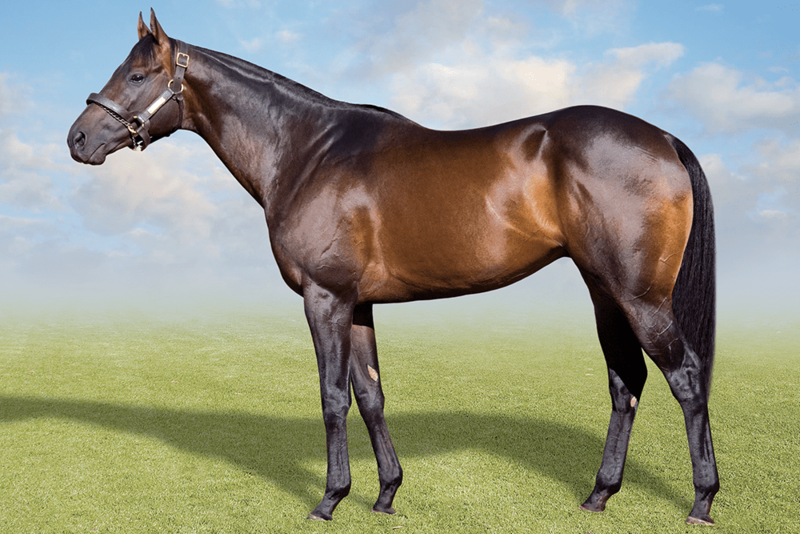 2 wins at 1600m to 2018-19, 3d Fairview East Cape Oaks, L.
Laws of Succession (11c, Silvano, Northern Guest). 9 wins from 1300m to 1800m, R595,125, Fairview Friendly City S., 2d Fairview Mile, Fairview Racing It’s a Rush H., 3d Fairview Mile, Fairview 1800, 4th Fairview Memorial Mile, L.
Omega Onslaught (12c, Wolfhound, Complete Warrior). 8 wins to 1200m to 2018-19, R566,325, Fairview Merchants, Fairview Glendore Sprint, Interbet.co.za S., Tab Telebet S., 3d Fairview Flying Five, 4th Fairview East Cape Sprint Cup, L.
Veeipee Club (14f, Casey Tibbs, Fair Season). 4 wins-1 at 2-at 1300m, 1600m to 2017-18, R224,000, Fairview Aloe H.
Party Peg (11f, Muhtafal, Northern Guest). 3 wins-1 at 2-at 1000m, R261,000, Turffontein Rugby H., Vaal Soccer GG H., 2d Vaal Racing It’s a Rush H., 3d Turffontein Book for Valentine’s Day Lunch H., Morne Visage International H., Vaal Thank You for Joining Us Today H., Racing Association H., 4th Turffontein Swallow S., L.
Jay Power (10c, Jet Master, Russian Fox). 3 wins at 1600m, 2400m, R264,200, Scottsville Pinnacle S., 2d Greyville Racing. It’s a Rush H., Scottsville Itsarush.co.za S., Soccer 4 H., Sheik Mohammed Al-Maktoum H.
Emily Jay (13f, Western Winter, Russian Fox). 7 wins from 1400m to 1800m to 2018-19, R550,875, Turffontein Xfacta Consulting H., Vaal Betting World H.-twice, Tab Telebet H., 3d Turffontein Classic Day Tickets at Webticket H., Book a Table H., Vaal Tab Pays the Full Dividend No Limits H., Itsarush.co.za H.
Silver Peg (11c, Silvano, National Assembly). 5 wins at 1700m, 1800m to 2017-18, R401,175, Vaal Racing Association H., 2d Turffontein Fitch and Leedes H., Charity Mile Entrance Tickets at Computicket H., Vaal Soccer 13 Xtra H., 3d Turffontein Full Dividend No Limits H., Available on Course H., Tellytrack H., Vaal Interbet.co.za H.
Leopard Lily (11f, National Emblem, Bush Telegraph). 5 wins from 1450m to 1800m, R378,675, Turffontein Western Cape H., 2d Scottsville Itsarush.co.za H., 3d Greyville Jackpot Quickmix H., Turffontein Racing Association S.
Fly Peg Fly (10f, Jet Master, Golden Thatch). 5 wins to 1400m, R457,875, Greyville Sir Juice Durban Progress P., Rugby 5 H., Soccer GG H., 2d Greyville Barkers H., Soccer 6 H., Scottsville Jackpot Quickmix H., 3d Greyville Bosch Hoek Golf P., Racing. It’s a Rush Conditions P., Fairview Soccer 6 S., Greyville Scotty’s Plant Hire P., France H., Scottsville ANA Insurance Broker H., Itsarush.co.za H.
Waywood (13g, Fort Wood, Goldmark). 4 wins at 1400m, 1600m to 2017-18, R247,025, Scottsville Farmers Agri-Care H., 3d Greyville KZNBDS H.
Tommy Waterdevil (12c, Jet Master, Kashani). 4 wins at 1200m, 1600m to 2017-18, R382,900, Turffontein Arvia H., 2d Turffontein Citizen H., Tab Telebet H., Soccer GG H., Vaal Book for Classic Day in April H., 3d Vaal Equinity in November H., Computaform Express H.
Wind Singer (12f, Windrush, Western Winter). 4 wins at 1400m, R254,250, Greyville Spirit of Elan Middle S., 3d Greyville Contractor Find S.
In South Africa, Dubai & Singapore, 2- 5 years, 10 wins, 1400-2000m, 6 places, in 18 starts, R40 million in stakes. Equus Champion 3yo Male Classic Horse, 2007. 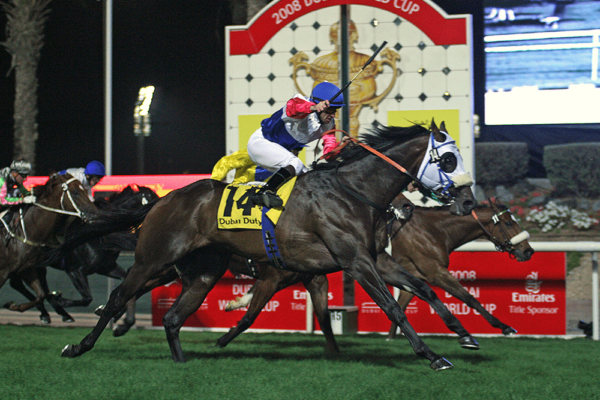 Equus International Horse Of The Year, 2008. CAMDEN PARK 2 wins at 1m, 9f, Churchill Downs Allowance, 4th Spiral S., Gr.2. He entered stud in South Af in 2002. 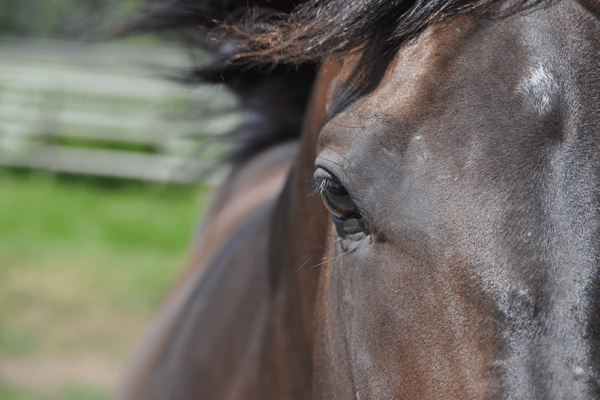 Sire of 140 progeny to race, 64 winners (45.0%), earnings of over $7.3 million, 6 stakes winners, 5 stakes placegetters, inc.
JAY PEG (03c, Al Mufti, Elliodor). Champion 3YO Colt in South Africa in 2006-07.10 wins-3 at 2-from 1400m to 2000m, R1,405,890, S$1,710,000, 11,473,320Dhs, Singapore Airlines International Cup, Gr.1, Kenilworth Cape Guineas, Gr.1, Cape Derby, Gr.1, Nad al Sheba Dubai Duty Free, Gr.1, Kenilworth Selangor Cup, Gr.2, Cape Classic S., Gr.3, 2d Greyville KZN Guineas, Gr.2, Nad al Sheba Jebel Hatta S., Gr.2-twice, Kenilworth Cape Breeders Equimark S., L, 3d Nad al Sheba Etisalat Greentune H.
CONSENSUAL (05f, Dancing Champ, Contraband). Champion 2YO Filly in South Africa in 2007-08.5 wins at 2, R513,750, Greyville Golden Slipper, Gr.1, Kenilworth Fillies Nursery, Gr.3, 3d Greyville Debutante S., Gr.2, KZN Fillies Guineas, Gr.2, 4th Kenilworth Paddock S., Gr.1, Summer Juvenile S., L.
ENGLISH GARDEN (07g, Dominion Royale, Peacetime). 4 wins-1 at 2-at 1600m, 1800m, R2,076,540, Turffontein South African Classic, Gr.1, Greyville UK Soccer 4 P., 2d South African Derby, Gr.1, Turffontein Egoli Mile, Kenilworth Equi Feeds P., Volvo Truck P., 3d Greyville Daily News 2000 S., Gr.1, Durban July H., Gr.1, Clairwood Cup Trial, Gr.3. I DO (03f, Damascus Gate, Harry Hotspur). 5 wins at 1000m, 1200m, R259,460, Kenilworth Champagne S., Gr.3. CAMPO DE SANTANA (07g, Fine Edge, Enchantment). 8 wins-1 at 2-from 1200m to 3600m, R465,375, Fairview Port Elizabeth Gold Cup, L, Turffontein Mr JJ Ayres H., 2d Turffontein Hennenman Memorial S., Fairview Computaform Express H., 3d Fairview Port Elizabeth Gold Cup, L, Vaal Final Leg of the Triple Crown H., 4th Arlington Glenlair Trophy, L.
HELENA (03f, Folmar, True Swallow). 5 wins from 1200m to 1600m, R311,420, Fairview East Cape Breeders S., L, 4th Kenilworth Olympic Duel S., L.
Camden’s Choice (03c, Jallad, Bush Telegraph). 7 wins-1 at 2-from 1200m to 1600m, R248,040, 2d Kenilworth JWS Langerman H., Gr.3. Ibrox Park (07f, Jallad, National Assembly). 4 wins-1 at 2-at 1000m, R328,400, Vaal Racing Association H., Computaform P., DJ Vin Deysel Live H., 2d Turffontein South African Fillies Nursery, Gr.2, 3d Vaal Racing Express Profile P., Joburgs Most Sensational Horseracing Event H.
Power Park (05c, Token of Youth, Kama). 4 wins at 1150m, 1600m, R324,800, 2d Turffontein Jubilee H., Gr.3, Vaal Rugby 5! Try It! H., 3d Turffontein Victory Moon S., Gr.2, Colorado King S., Gr.2. Richmond Park (03g, Complete Warrior, Sir Gaylord). 3 wins-1 at 2-at 1600m, 1900m, R228,180, Greyville Grindrod H., 2d Clairwood Easter H., L, 3d Clairwood Christmas H., Gr.3. Amber Bouquet (03f, Al Mufti, Wicked Will). 3 wins-2 at 2-to 1400m, 3d Fairview Lady’s Slipper S., L, 4th Fairview East Cape Fillies Nursery, L.
Fancy Park (06f, Royal Prerogative, Gaskell). 6 wins at 1400m, 1600m, R315,875, Fairview Greenbushes Cricket Club P., Computaform Express Open H., Arlington Core Catering Port Elizabeth H., 2d Fairview Elmarie le Gras H., Come Rub Shoulders With the Stars H.
Admiral Camden (05c, Kama, Ding Dong). 5 wins from 1600m to 2400m, R255,350, Fairview Computaform Express H., 3d Arlington Book Your Table for Guineas Day H., Play Soccer 6 S.
Country Rose (07f, Jallad, Foveros). 4 wins at 1200m, 1600m, R209,650, Clairwood International Soccer 6 H., Plascon Run S., Scottsville UK Soccer 6 H.
Sensational Secret (04f, Complete Warrior, Esplendor). 3 wins at 1000m, 1200m, R272,075, Turffontein Racing Express Profile H., 2d Turffontein Fm 83 Divided H., Vaal Racing Association S., 3d Turffontein Monument Toyota H.
Song of Camden (07g, Western Winter, Freedom Land). 3 wins at 1200m, 1400m, R155,130, 2d Turffontein Rugby 5 H., 3d Turffontein Soccer 6 H., Soccer 13 Your Biggest Payday H., Vaal Racing Association H.
Macarthur Park (07c, Krusenstern, Northfields). 3 wins-1 at 2-at 1200m, R166,175, 2d Fairview Emerald Cup Over 1450m P., 4th Fairview East Cape Nursery, L, Dahlia P., L.
Wollondilly (07f, Pole Position, Lama). 3 wins at 1000m, 1200m, 3d Turffontein Soccer 6 H.
Karl (03c, Pole Position, Condorcet). 3 wins at 1400m, 1600m, R179,125, 3d Kenilworth Betting World Mobile Betting H.
Itchy Finger (03f, Trigger Finger, Quick Turnover). 3 wins at 1000m, 1200m, R173,495, 3d Vaal Banyana H.
Projectile (03f, Trigger Finger, Welsh Harmony). 3 wins at 1400m, 1800m, R182,950, 3d Vaal Racing Express Fact File Open H.
Snake Park (03g, West Man, Hobnob). 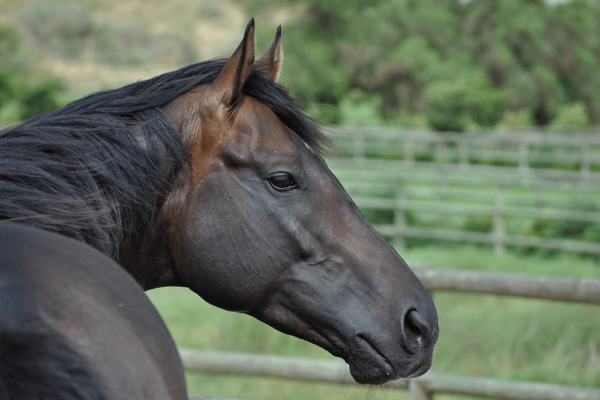 2 wins-1 at 2-at 1000m, 3d Vaal Racing Express Speedhorse H.
Lone Star Park (03c, Raise a Man, Mexico). 6 wins-1 at 2-at 1400m, 1500m. Biscuit (03c, Fine Edge, Home Guard). 4 wins at 1200m, 1400m, R214,230. Sunche (03c, Cordoba, Hobnob). 4 wins at 1800m, 2000m. Six Flags (07g, Restructure, Waterville Lake). 3 wins at 1200m, 1600m, R210,416. Marwood Boy (07c, Complete Warrior, Woodman). 3 wins at 1500m, 1600m. Take Over Bid (06g, Coastal, Dancing Champ). 3 wins at 1000m, 1200m, R161,500. Ask Me (05f, Silvino, Lords). 3 wins to 1200m, R179,300. Dragoman (04c, National Assembly, Northfields). 3 wins from 1800m to 2400m. 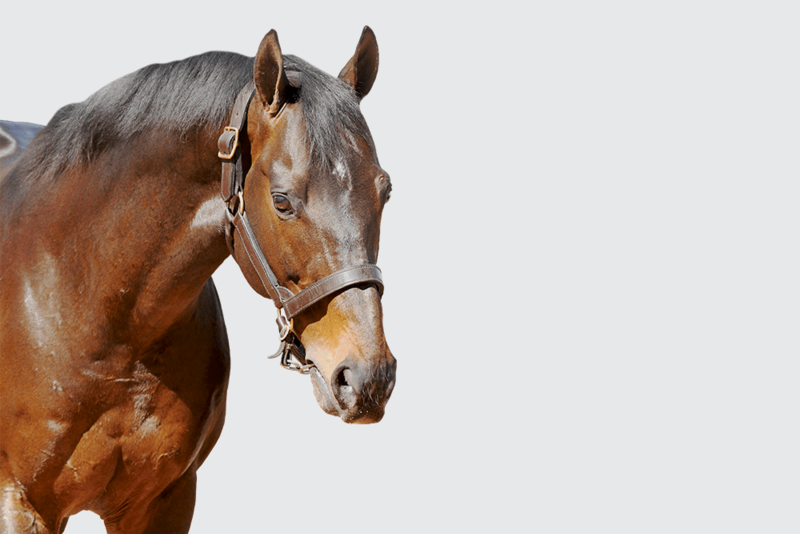 His sire sons include Jay Peg (6), etc. No other South African bred horse comes close to his stakes figure. In the three years prior to Jay Peg’s Dubai Duty Free win, only two horses achieved higher Timeform ratings in the UAE: World Cup winner Electrocutionist (TFR 127) and UAE Derby winner Discreet Cat (TFR 127), the latter ranked as third best rated US 3yo of that same season. In Jay Peg’s year (2008) only World Cup winner Curlin (TFR 134 & US Horse of the Year) and Archipenko (TFR 127) managed to outdo the South African Champion 3yo of 2007. Accolades, indeed. Jay Peg hails from an originally American female line. Looking back six generations, the family’s best performers all spring from Jay Peg’s fourth dam Sally Lou, a multiple stakes winner of nine races, by Cohoes. The latter was by English Derby winner Mahmoud out of a daughter of La Troienne. Cohoes sired some 220 foals, from which came a modest 15 stakes winners. The most notable of these was the filly Miss Swapsco, ancestress of a host of topclass sires, incl Devil’s Bag, Saint Ballado, Rahy, Singspiel and Rakeen. Of interest is that the pedigree of Cohoes shows him to be kin to influential sires Halo and Bold Reason. Cohoes’ daughter Sally Lou is dam & grandam of stakes winners. They include Copeton, a winner of 23 races by Advocator, whose dam Delta Queen is kin to the dam of Cohoes, the pair 2×3 in Copeton. Of interest is that Delta Queen is a full sister to the grandam of Roberto. Another one for the notebook is that two main stakes winners descending from Sally Lou are both by sire Slew City Slew, a son of Seattle Slew. The latter’s grandam Fair Charmer is kin to Cohoes. These notes gain relevance in the context of Jay Peg’s sire (a grandson of Seattle Slew) and dam (by a son of Roberto). Sally Lou was mated to Bold Ruler stallion Cornish Prince to get Jay Peg’s third dam Leucothea. A stakes winner of 11 races, Cornish Prince is by Bold Ruler out of a mare by Eight Thirty. This gave close kin-breeding in Leucothea: 2×1 Bold Ruler x Sally Lou, and 3×2 Eight Thirty x Lou Sally. A Gr3 placed miler in France, Leucothea produced ten winners at stud. Her daughter Let Kiss became a prolific producer, doing especially well from matings with Elliodor. Perhaps not too much should be read into that, as Let Kiss was in the same ownership as Elliodor and simply kept revisiting the successful sire. Inevitably Let Kiss’ dam Leucothea went to Elliodor as well. At age nineteen she produced a filly, Ladies Game, who won six races up to 1300m. Ladies Game is kin-bred 3x3x2 Northern Dancer x Bold Ruler x Sally Lou, extending the Bold Ruler x Sally Lou kin-breeding found in her dam Leucothea. In addition, Ladies Game has a 4×4 Donatello x Mahmoud kin-cross. So far, the bottom female line elements appear to remain powerful connections. Next stop Al Mufti. Kinbred 2×2 Hail to Reason x Buckpasser, Al Mufti’s best offspring show a strong affinity for either, or both. The result of the mating of Al Mufti and Ladies Game is Laptop Lady, kinbred in remarkable ways. She is 3x3x3 Hail to Reason x Buckpasser x Sally Lou for a start. But there also is 2(3)x4 Roberto (Hail to Reason) x Cohoes and 2×3 Roberto x Sally Lou. And to top it off 2×2 Lassie Dear x Leucothea. Laptop Lady made her debut as a 3yo over 1200m in October, ran once more over the same distance in November, and was not seen out again. If her racing career came to nothing, she made spectacular amends at stud. All of her four runners are winners, including (apart from Jay Peg) 6-time winning stakes placed Cabernet Kid, and promising 4-time winner Cyber Case. 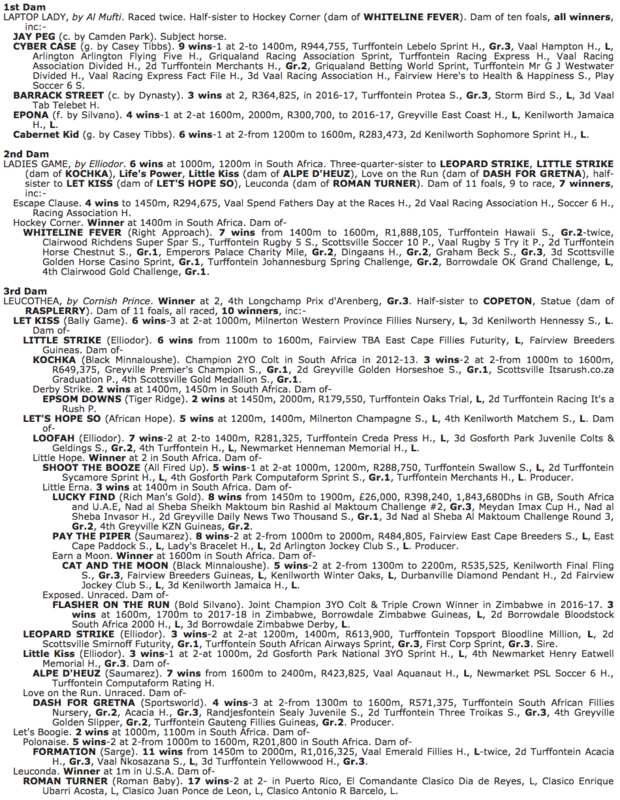 Bought as a yearling for R55.000 at the 1998 National Sale by Ken Truter, Laptop Lady retired to her owner’s studfarm where Camden Park was resident sire, standing his second season. The mating between the two, which produced Jay Peg, built further on the kin-breeding from Laptop Lady. Jay Peg is kin-bred 2(3)x2 AP Indy (Weekend Surprise) x Al Mufti, and 2(3)x3 AP Indy (Weekend Surprise) x Leucothea, as well as 5x4x4 Fair Charmer x Who’s To Know x Sally Lou, and 3×3 Angel Island x Leucothea. 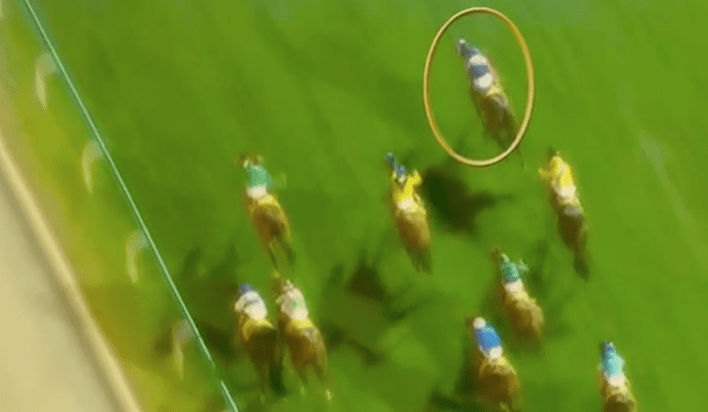 The links appear to be inter-related, with Hail To Reason & Buckpasser elements being prominent. The fact that there is a link between the bottom female lines of Jay Peg’s sire & dam (3×3 Angel Island x Leucothea) could well be significant for future directions. Interesting to note in this context Camden Park’s champion 2yo filly Consensual, whose dam is by Dancing Champ. The latter has shown an affinity as broodmare sire with Al Mufti (damsire of Jay Peg), notably in champion Victory Moon (kin-bred 3×3 Buckpasser x Mrs Peterkin 90%). Another to note in 2009 is once- raced 3yo debut winner Power Park, whose dam Token Power is a daughter of failed sire Token Of Youth. The latter is by Lyphard out of Tokens Only, by Youth, whose sire Ack Ack is 90% to Hail to Reason. The second dam of Token Of Youth is a ¾ sister to Lassie Dear (dam of Al Mufti), by Buckpasser out of Missy Baba. The similarities with Jay Peg’s dam Laptop Lady (Al Mufti x son of Lyphard) are striking. Buckpasser, Hail to Reason, Bold Ruler appear to be suitable lines. They are widely available. Kin-links to Jay Peg’s female line, notably Leucothea, may well be the key to future success. National Assembly has the sequence of Danzig x Bold Ruler x Buckpasser, making him kin to Camden Park. More significantly, perhaps, is National Assembly’s dam Renounce, who is kin to Leucothea. Al Mufti’s dam Lassie Dear and Renounce also are similar. We note that Leucothea is grandam of stakes winner Little Strike (by Elliodor x Let Kiss), who bred two highclass runners by National Assembly, National Title & National Strike. National Assembly’s son National Emblem fits the bill as well. Danehill is by Danzig out of a granddaughter of Buckpasser named Spring Adieu, the latter mare being kin to Leucothea. This in turn leads to Announce, who is by National Assembly out of a granddaughter of Spring Adieu. Joshua Dancer is by Danzig out of the daughter of mare who is kin Leucothea and also kin to AP Indy. Most interesting. Complete Warrior is by a son of Bold Ruler, his grandam half sister to Buckpasser. He’s the damsire of Captain Al (who is by Al Mufti). Complete Warrior is kin to Leucothea. Mares by Captain Al or his sire Al Mufti are certainly interesting. Al Mufti’s full brother Mullineaux must be included, too. Northern Guest is by Northern Dancer out of a Buckpasser mare who is inbred to the dam of Buckpasser & a 3-part brother. Northern Guest, who has shown an affinity for Bold Ruler, is kin to Leucothea. Dancing Champ is damsire of Camden Park’s champion daughter Consensual. The dam of Dancing Champ is kin to Buckpasser. Token Of Youth is by Lyphard, while his dam is a granddaughter of Buckpasser, and from Lassie Dear’s family. A variation on this theme is Kabool, whose sire’s dam is by a son of Lyphard, and his dam by a 3-part brother to Dancing Champ. Sportsworld is out of a half sister to Lassie Dear. This sire has shown an affinity with Elliodor mares, and is noted in Jay Peg’s female line as sire of Gr2 winner Dash For Gretna (her dam is Elliodor x Let Kiss). Plugged Nickle is from the same female line (dam 3-part sister to Lassie Dear, while sire Key to the Mint is kin to Sportsworld’s sire Alleged). Sadler’s Wells main affinity comes through his damsire Bold Reason. The latter is kin to Leucothea and also to her dam Sally Lou. Bold Reason is also kin to Buckpasser, and to Roberto (sire of Al Mufti). Mr Prospector appears with regularity in dams of AP Indy’s best offspring, as damsire or sire of the damsire, notably through Seeking The Gold (whose dam is by Buckpasser). Interesting in this context are Windrush and Lecture, both sons of Seeking The Gold, and Secret Prospector, who is by Mr Prospector, his grandam by Buckpasser. Lecture has shown a strong affinity with Al Mufti mares. Mares with Mr Prospector, notably Seeking The Gold (Windrush, Lecture), or Secret Prospector, etc.